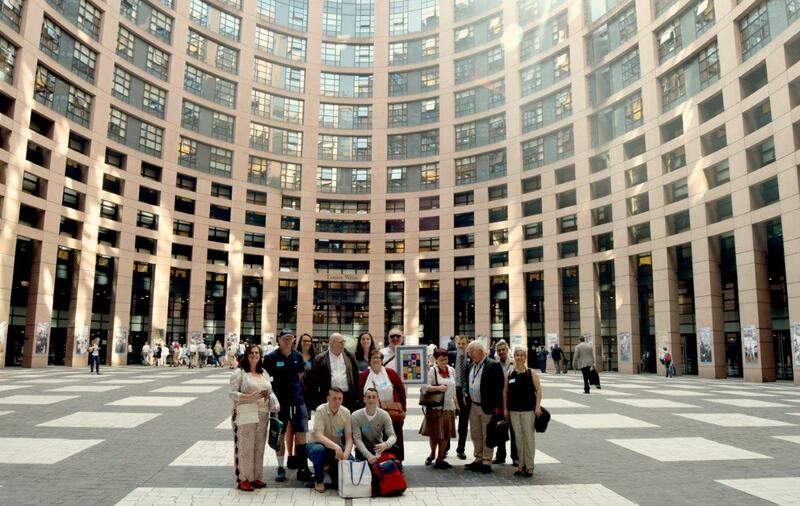 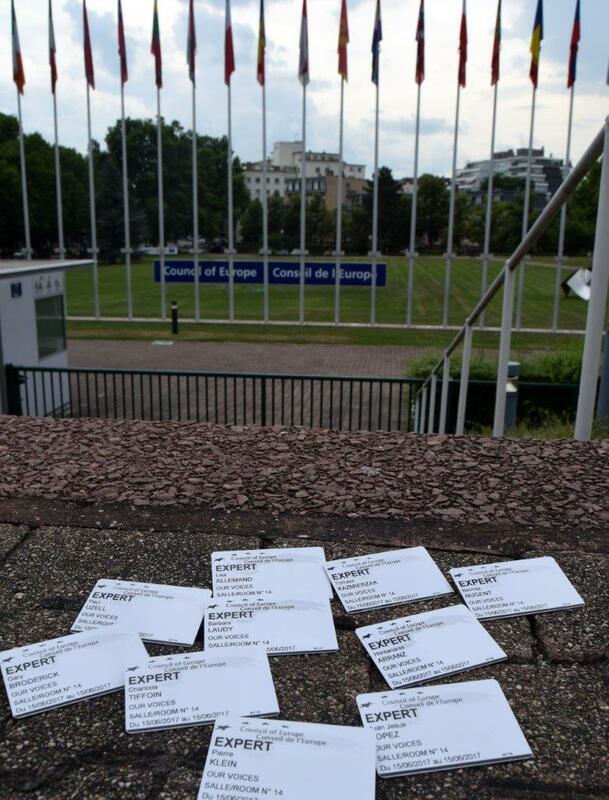 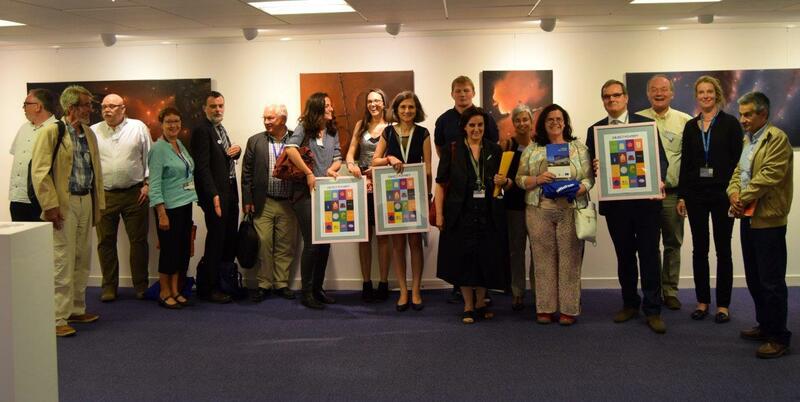 Our Voices at the European Parliament and the Council of Europe! 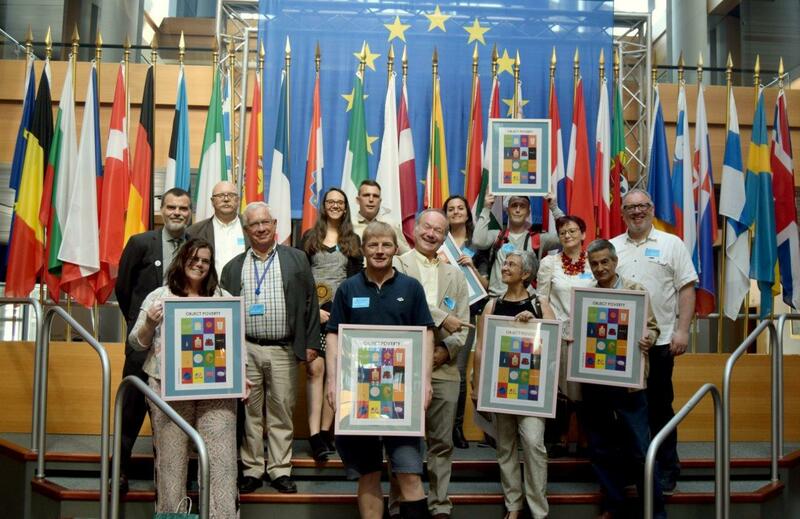 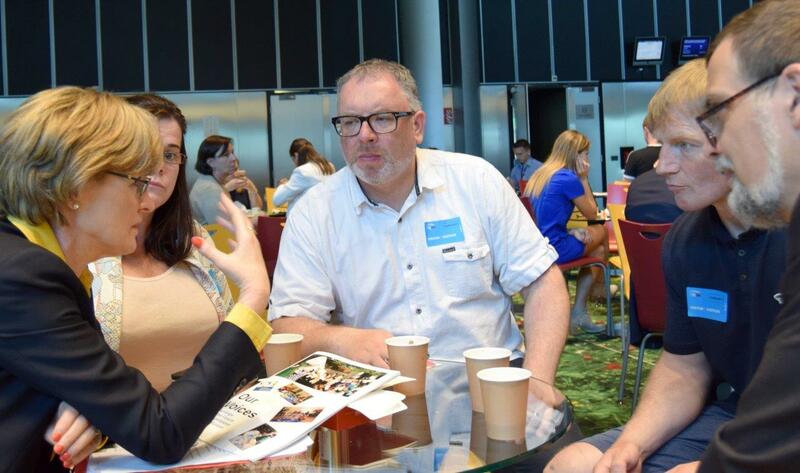 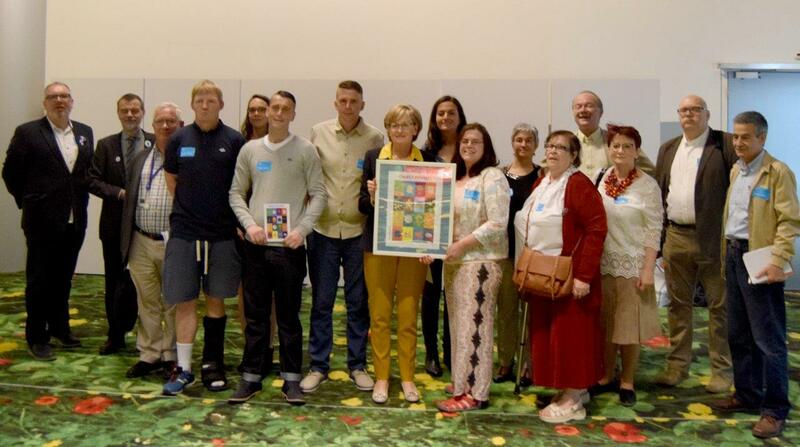 On 15th of June 2017, the Irish “Our Voices” delegates, prepared by ATD Ireland, met with delegates from Spain and Poland to launch the “Our Voices” report at the European Parliament in Strasbourg. 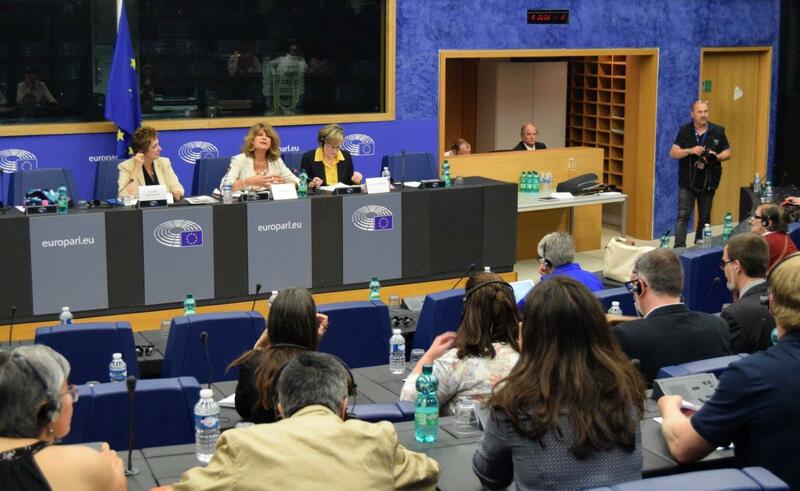 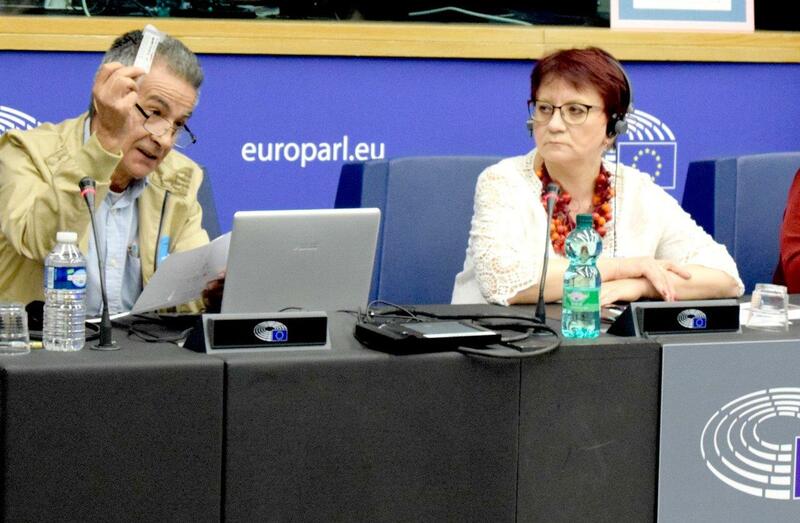 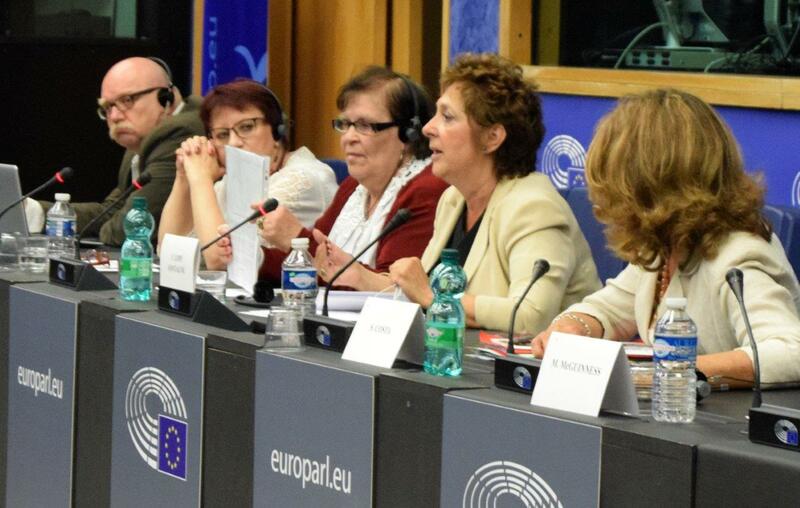 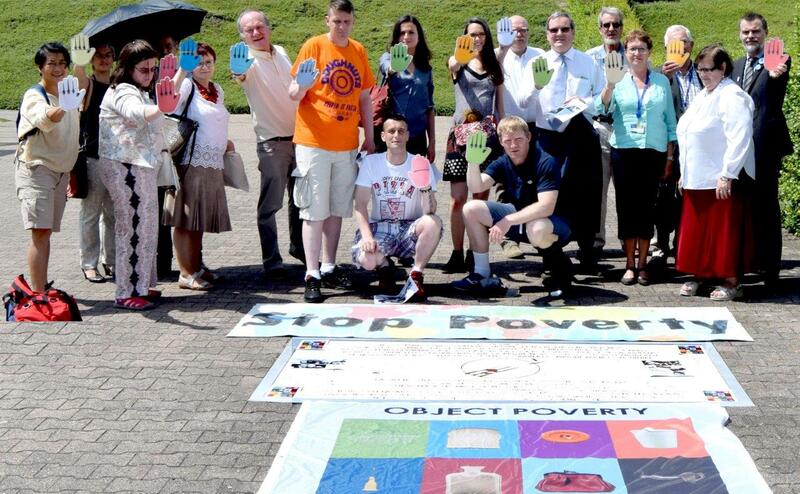 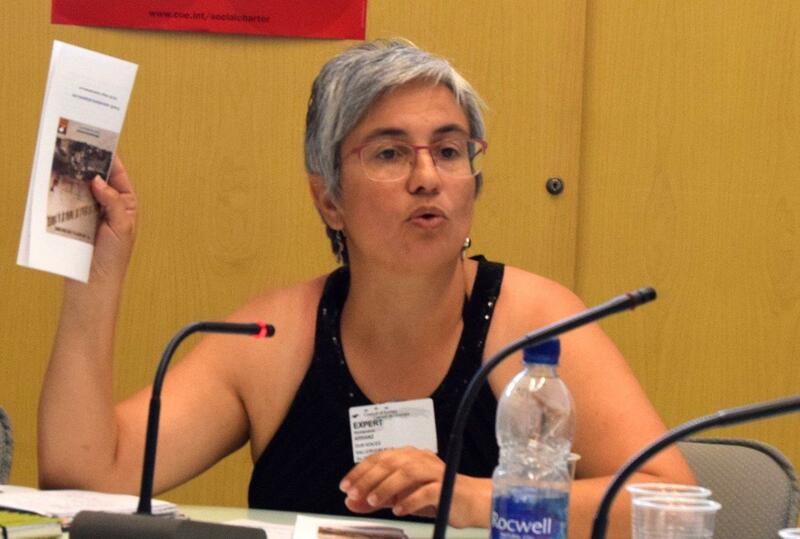 The launch took place during the meeting of the Intergroup “fighting against poverty in defence of human rights”. 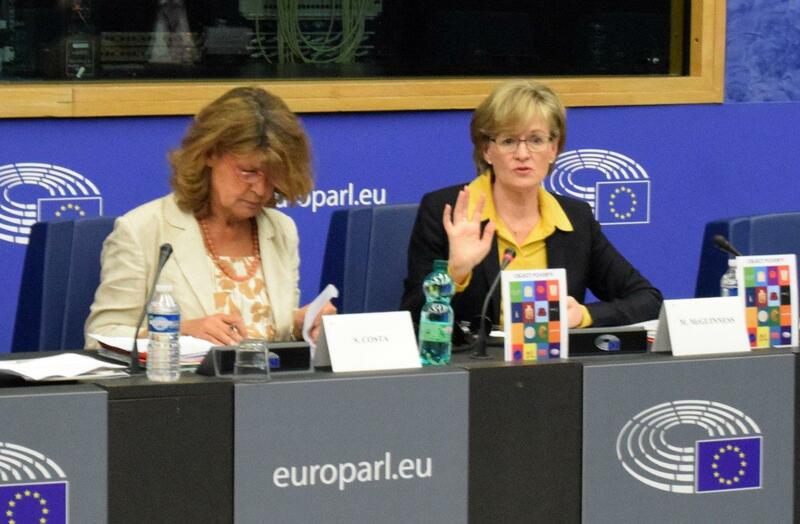 The meeting was opened by Mairead McGuinness, first Vice-President of the European Parliament. 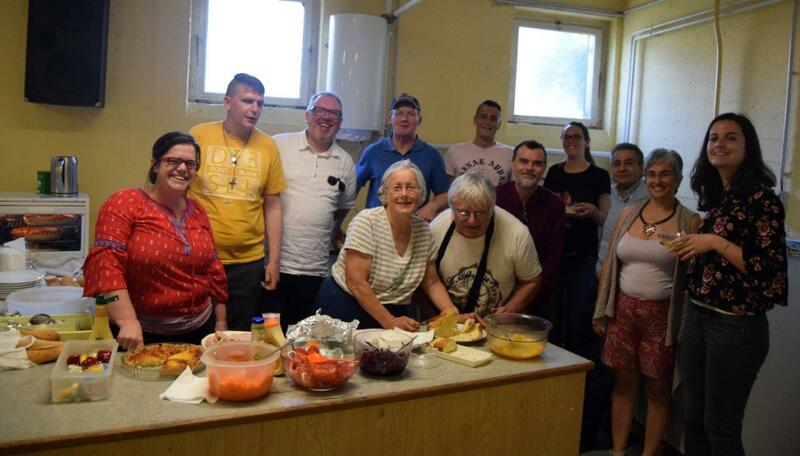 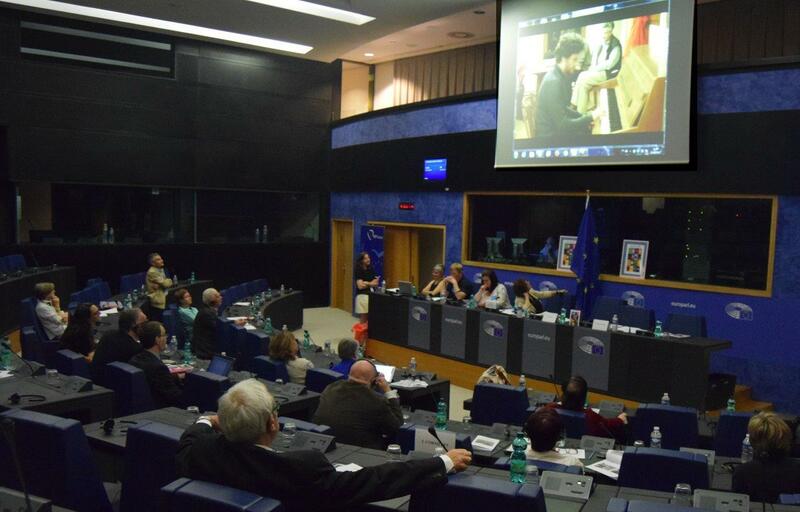 It included a presentation of “Object Poverty” created by the SAOL project in Dublin and of the learnings of the “Europe for Citizens” project “Our Voices”. 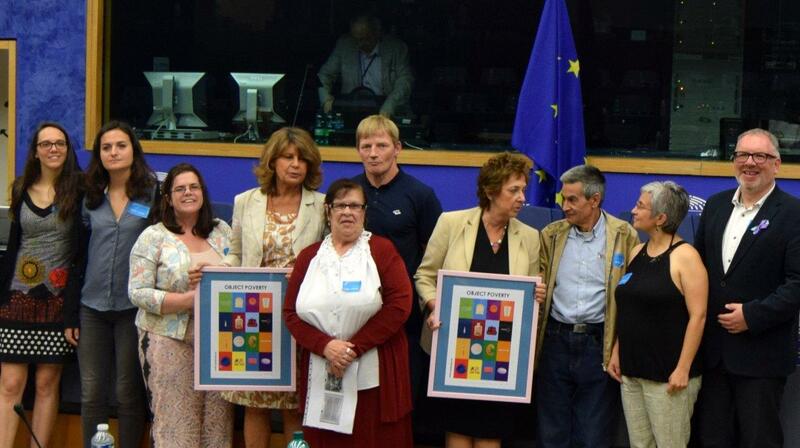 The video below was presented to the audience of MEPs and assistant of MEPs including 4 Irish MEPs. 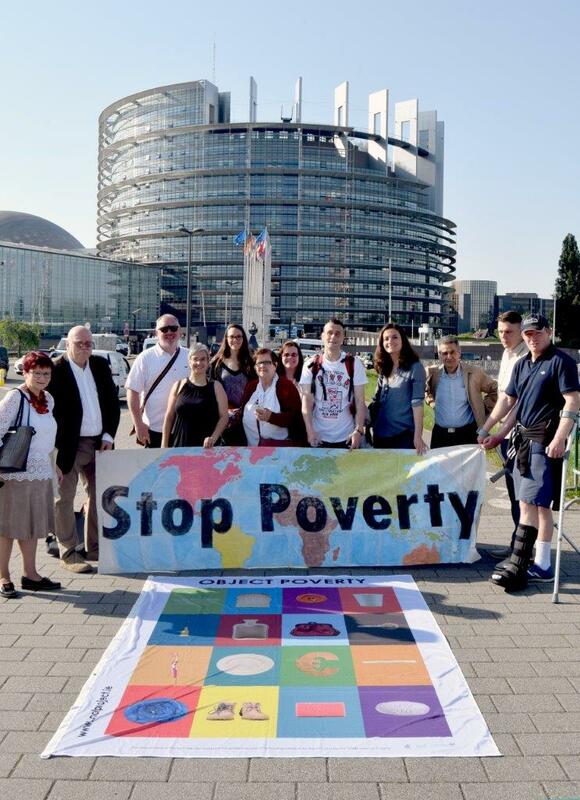 Later citizens from Strasbourg and citizens at the European Institutions joined the delegation for a short symbolic gathering at the “17 October Human Rights and Poverty Stone“ on the Flags’ Square, in front of the Palais de l’Europe. 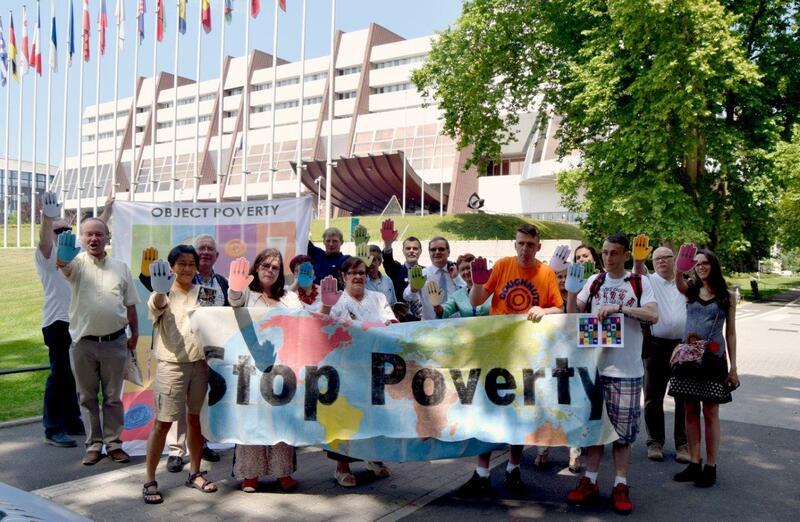 The 15 minutes gathering was an opportunity to read publicly the 2017 Stop Poverty Call to Action and to observe a minute of silence for the participants in the “Our Voices” project who died in 2016 and 2017 from “the early death sentence which represents poverty” (we use here the words of Bernie Sanders). 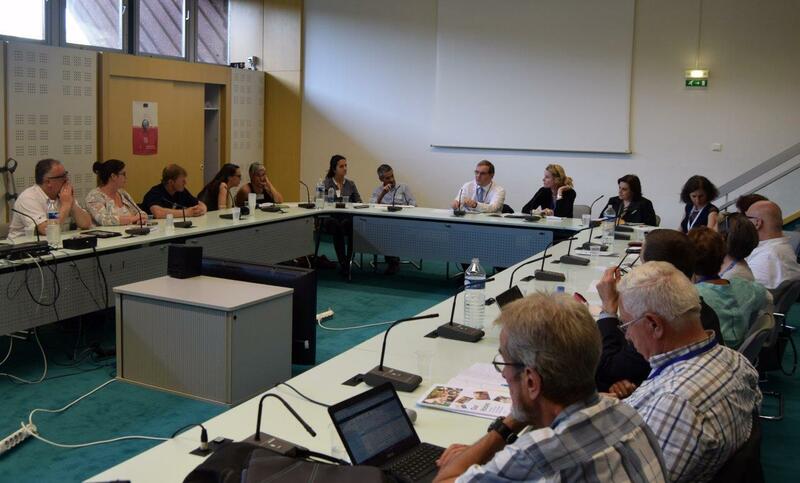 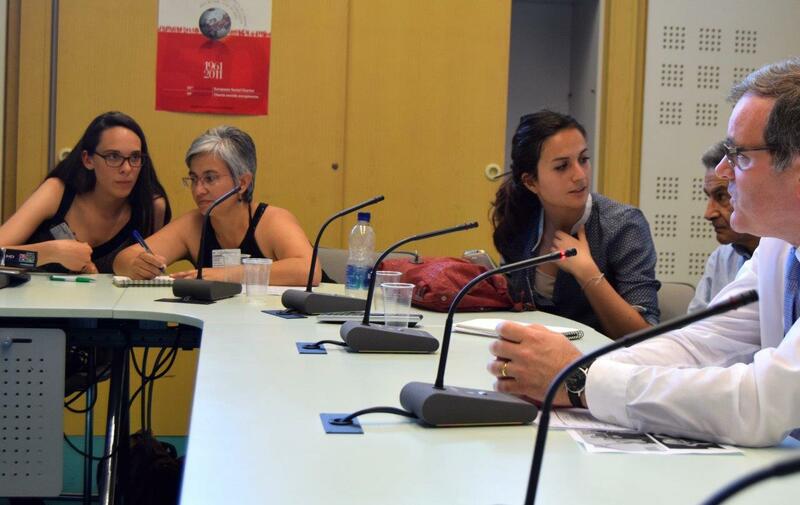 The day of work and promotion of the learnings of the “Our Voices” project ended at the Council of Europe with a meeting with staff of the Department of the European Social Charter to discuss ways to contribute to the Turin Process and strengthen the social dimension of the European construction. 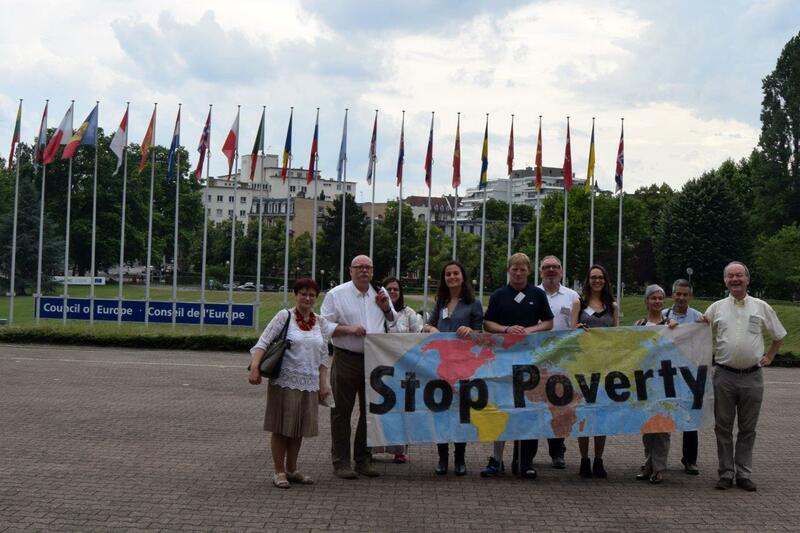 More pictures of the day including the “happenings” to promote the 2017 #StopPoverty Campaign!